Over/Under: Under 149.5 at 1.90 Bet Now! Given that this will be the 500th European game played by Olympiacos Piraeus, they will be looking to make the most of the celebrations. Given the fact that they have managed to win their last 12 Euroleague home games in a row, while also defeating Unicaja in the last five times that they have played each other, there will be a great deal of confidence in the Greek side. Confidence isn’t everything when it comes to betting on Euroleague games, but it can definitely help. As this is the start of the second half of the Top 16, these two teams have already clashed this season, with the Greek side winning 61-69 in Spain. The hosts have a great defensive record but Malaga are no slouches in attack, offering up a great record for offensive rebounds, so this could be a match that provides plenty of drama and excitement. The Greek side has a 14-3 record in the Euroleague this campaign. This contains their 8-2 record from the regular season and their 6-1 record from the Top 16 so far. For Malaga it is a slightly different story with a 5-12 record for their overall Euroleague season so far. The team progressed from the regular season with a 4-6 record and they have only won Top 16 games so far, giving them a 1-6 record. Olympiacos have a slight edge when it comes to average points scored, 76.1 to 74.4. These figures don’t necessarily suggest that this will be an open game with plenty of scoring but you never know how individual games end up panning out. For Olympiacos, Vassilis Spanoulis is the top man, having grabbed an average of 16.0 points per game and an average of 5.3 assists per game. Othello Hunter has also been in fine form, offering up an average of 5.2 rebounds per game. 5.2 rebounds per game is the same number of average rebounds that Vladimir Golubovic of Unicaja has provided this season. Mindaugas Kuzminskas is the top scorer for Malaga, offering an average of 9.9 points per game and Jayson Granger has provided an average of 3.9 assists per game so far. With a 16-1 record in their domestic league, Olympiacos have shown considerable form and they sit at the top of the table, although Panathinaikos are nipping at their heels with a 15-2 record. 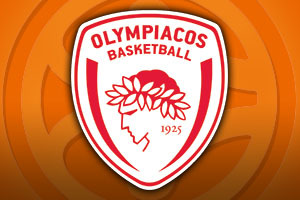 The most recent domestic game saw Olympiacos defeat AEK Athens by a score of 83-77. In Spain, Unicaja Malaga still lead the way, sitting at the top of the table with a 18-3 record. They have Real Madrid close behind them in second, with Madrid holding a 17-4 record. The most recent game for Unicaja was an away win against Gipuzkoa, winning by a score of 72-76. You have to fancy the home team to win this and taking them with a -10 handicap, at odds of 1.90, is likely to be a smart bet. For the Over/Under market, choose to go Under 149.5 at odds of 1.90. Both of these bets can be found with Bet365, one of the leading sportsbooks for Euroleague betting. Bet Now!